After you get engaged, you have to deal with lots of Wedding Stuff. Where should you start? Here’s a link to a good wedding checklist that you can use to get started. Click here WEDDING CHECKLIST. It can be overwhelming for a couple to organize and do everything themselves. 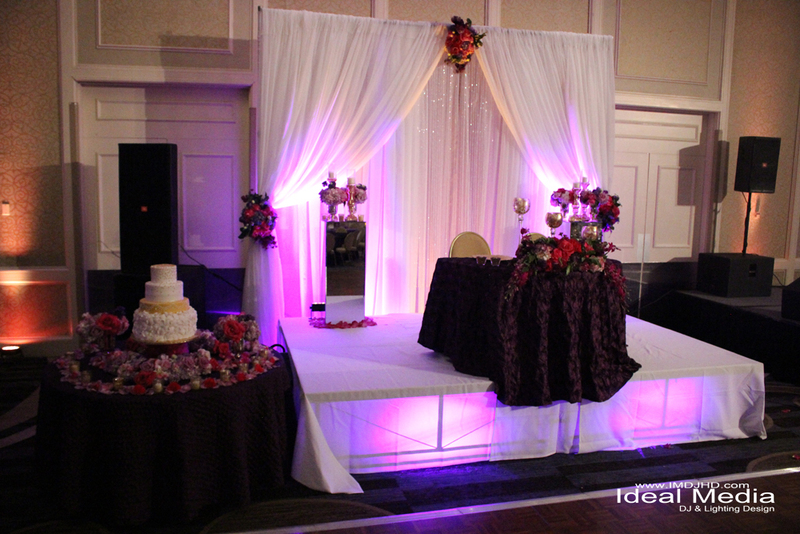 Another option to make things easier is to hire a great wedding planner. Always remember to look over all contract and make sure everything stated is agreeable. After checking out all of your vendors, you should reserve them as early as possible to avoid them becoming unavailable on your wedding day. Most vendors will require a deposit and signed contract in order to officially secure your day and time range. 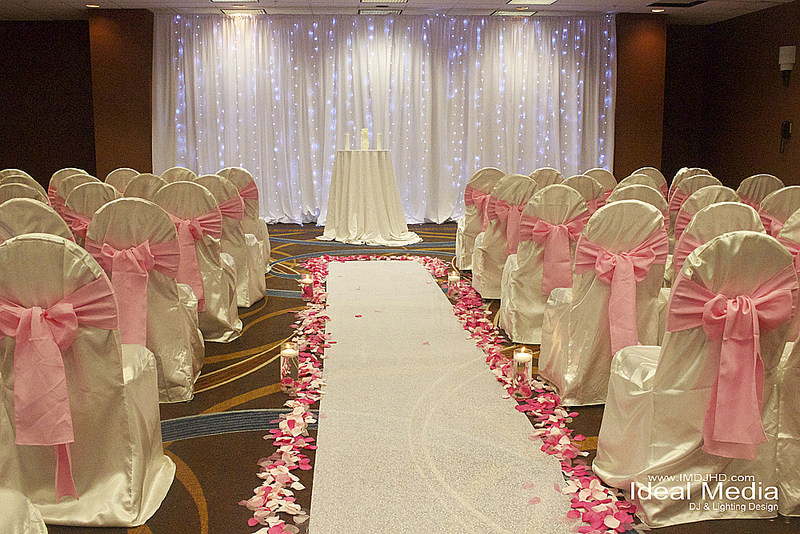 You or your wedding planner should go down the checklist until it’s complete to make sure every vendor is marked off. Most vendors are ok with some changes that need to be made along the way as long as those changes are updated in your contract. 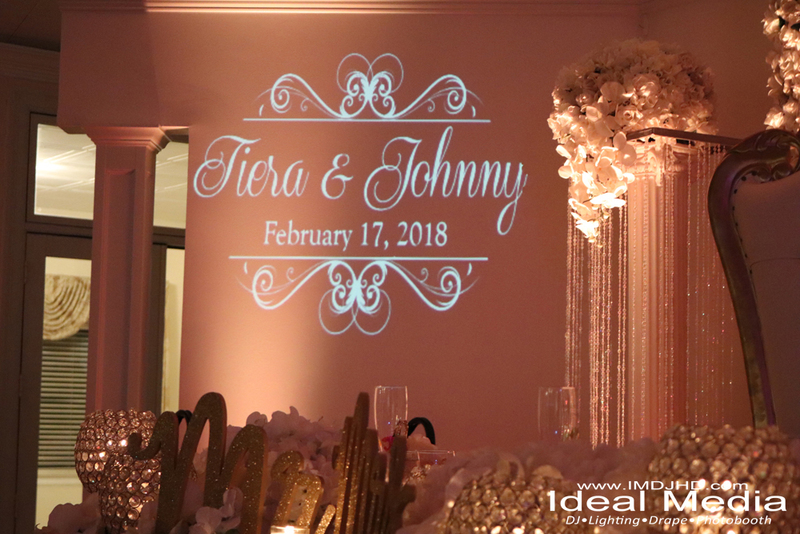 It seems like brides and planners will be using uplighting for party decorating for years to come. 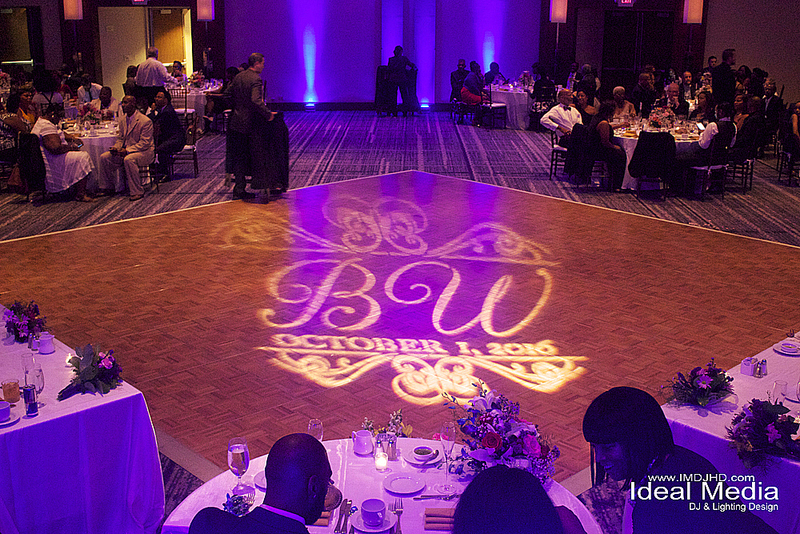 The effects of quality wireless lighting will always create a beautiful dream wedding space. 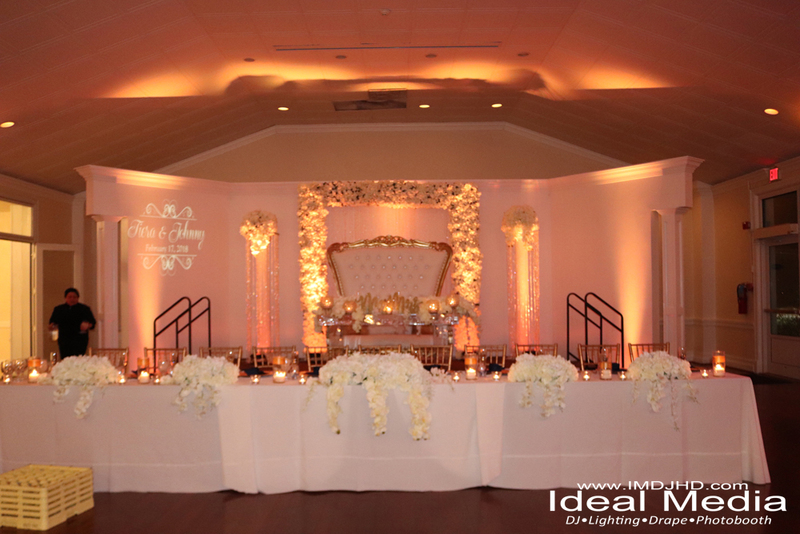 The quantity of lights used will effect how much ambiance or glow the room will receive. 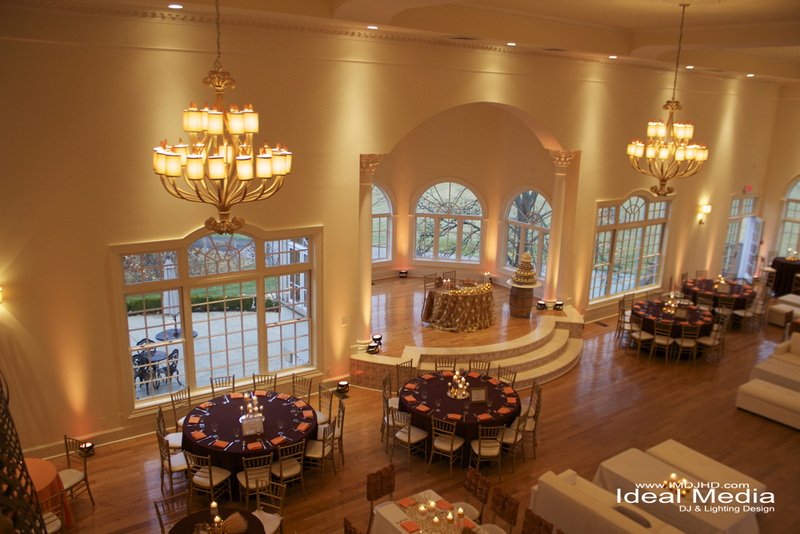 Reception lighting makes a big difference for any event space. 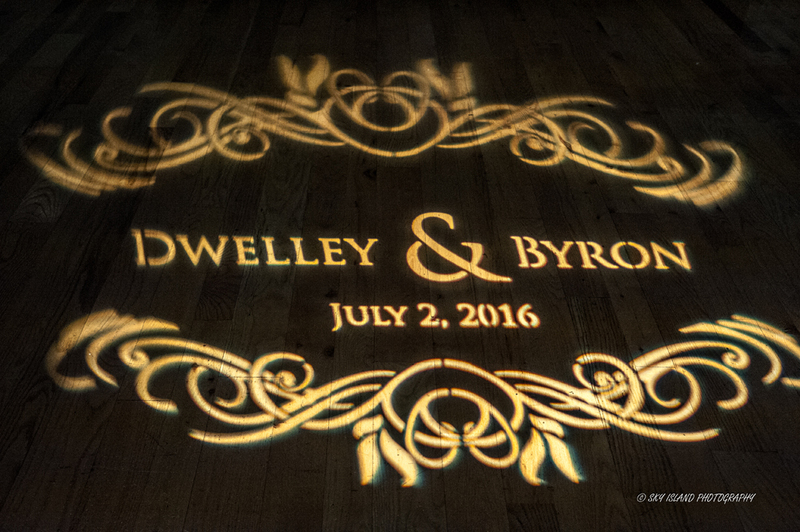 Gobo lighting is having an image, name, or logo shown on the dance floor, wall, or ceiling. These images can even be projected on water like lakes, pools, or any large surface. 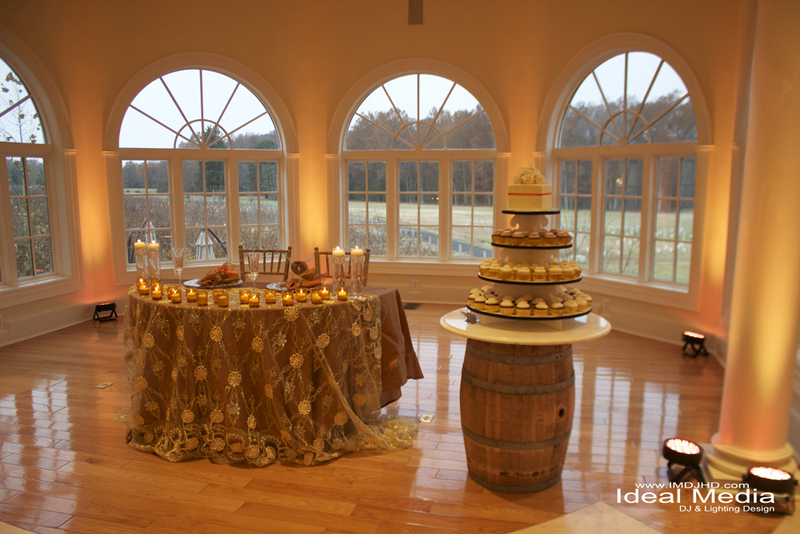 A perfect addition for wedding receptions, birthday parties, and corporate parties. 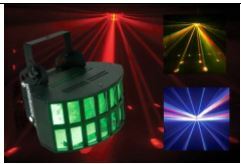 These are moving lights that are great effects to add to any dance party. Party lights can be controlled, or can be sound activated. 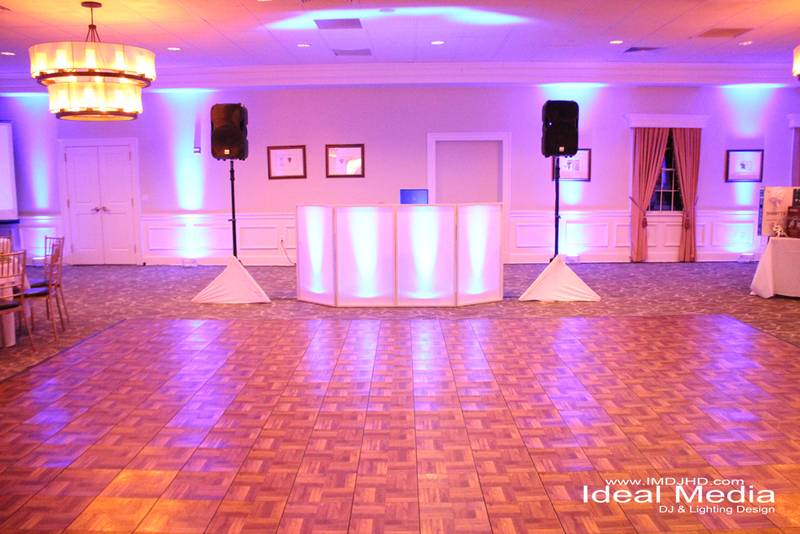 They are great ways to light up the dancefloor, motivate the crowd to dance, and turn an event into a fun atmosphere. 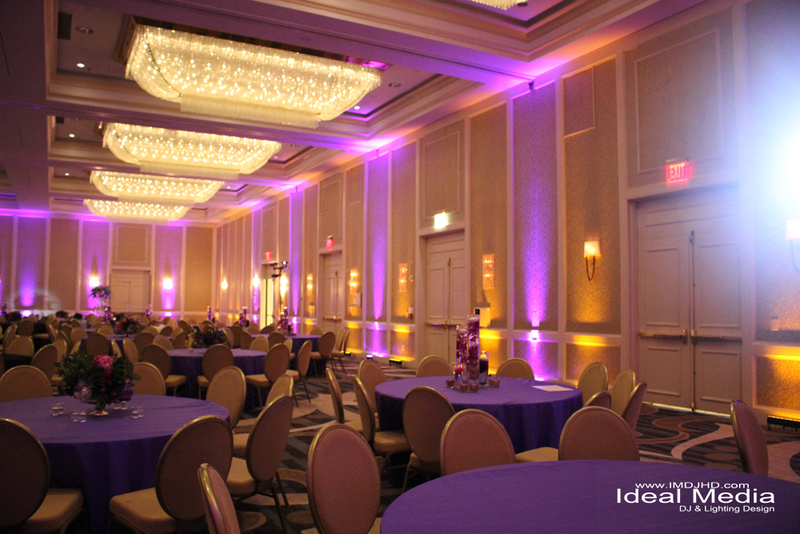 Lights are always cool and can be the best way to create party themes. 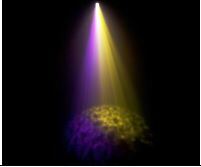 We have lights that can create almost any color moving water or fire effect. 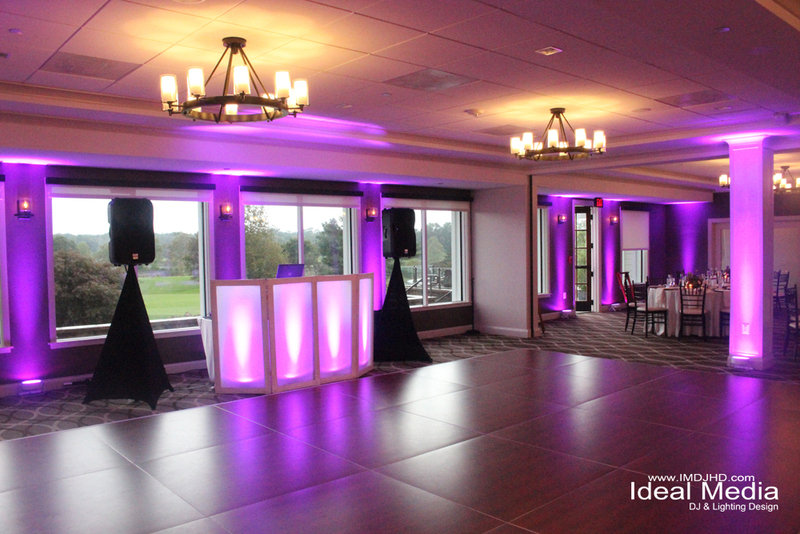 Adding effects like these along with uplighting can create some unique party theme ideas. 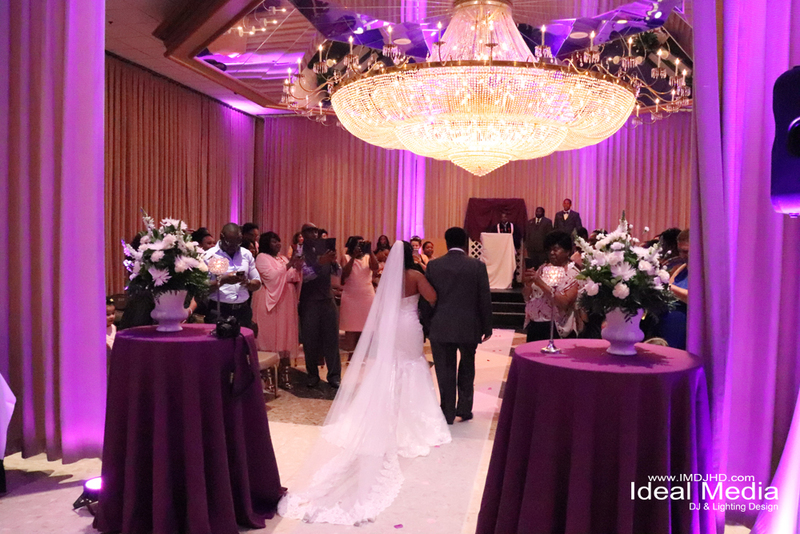 Wedding Lighting is so important because it lasts a lifetime through your wedding photos and videos. 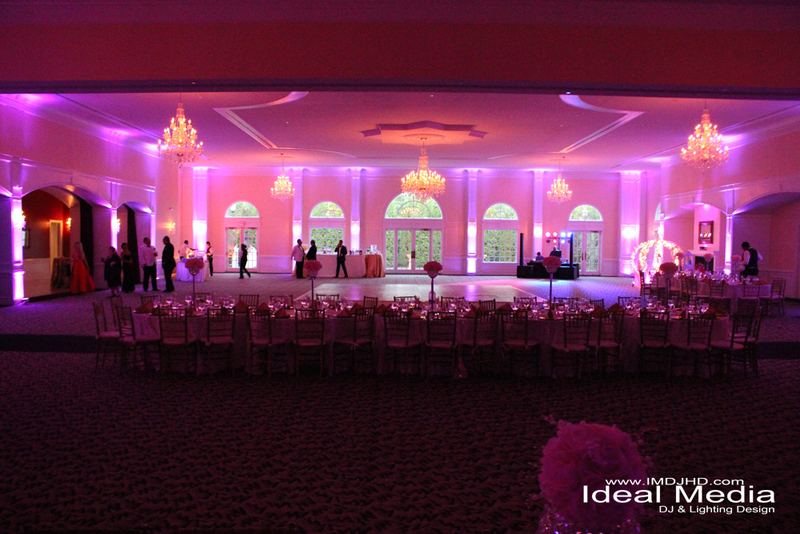 Whether it’s purple uplighting, amber uplighting, blue uplighting, we can bring your wedding decor ideas to life. 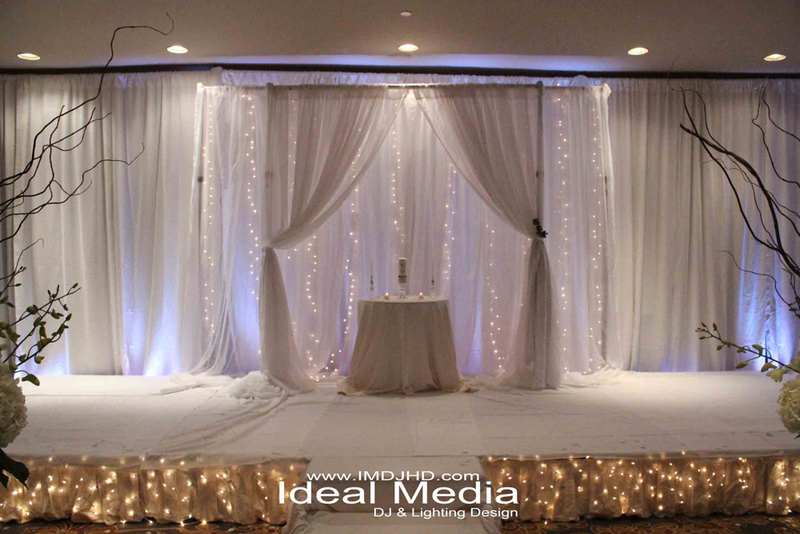 Ideal Media has over 10 years of experience with party lighting and up lighting for weddings. 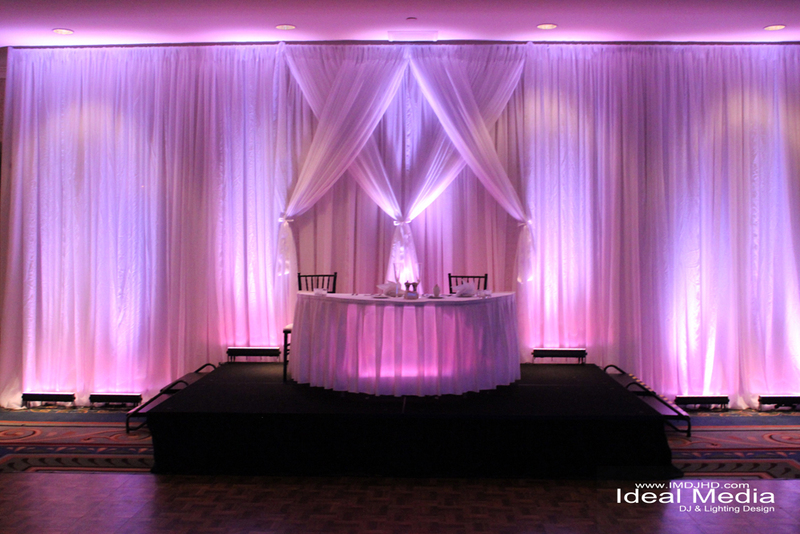 The cost for uplighting depends on a few things and the price is usually a daily rate. • Special effects programming such as fades, strobes, or sound activation. 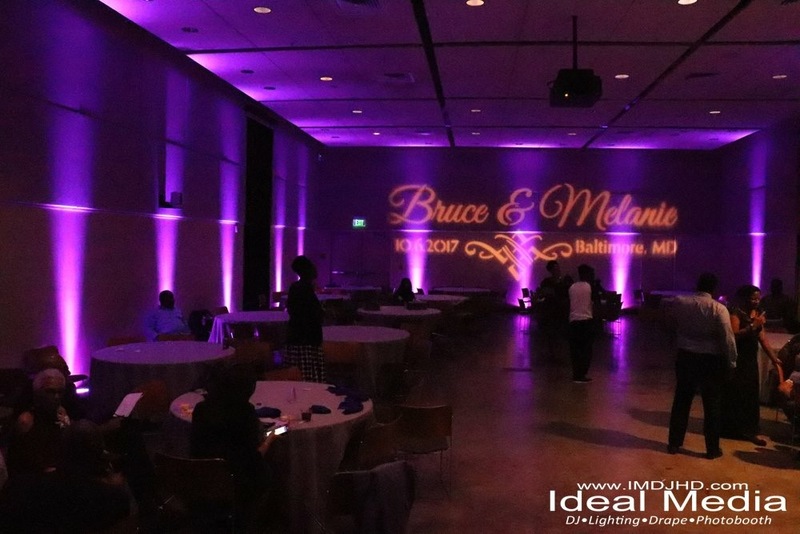 Party lighting • Uplighting • Pinspot lighting • Monogram/gobo lighting •Party lighting. Looking for a DJ? We have experience as Wedding DJs, Corporate Event DJs, Party DJs, Karaoke DJs, & School DJs. See you at the party! 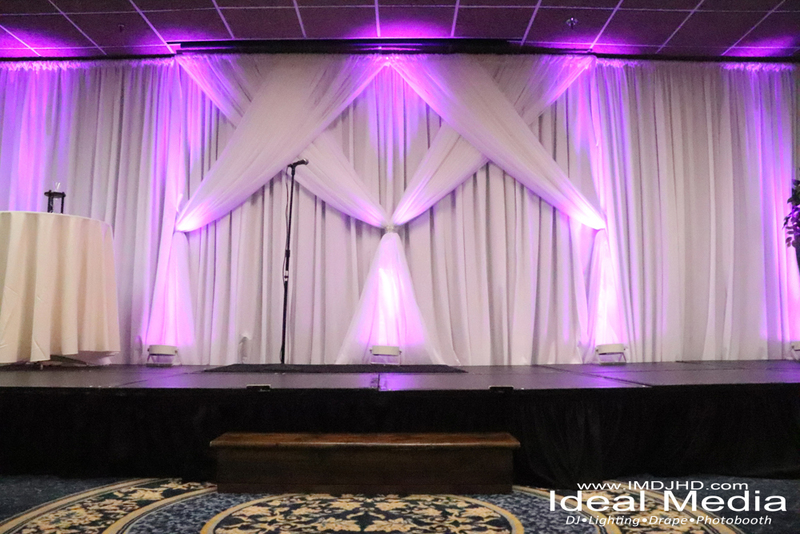 Check our latest Wedding Backdrops that can also be custom made for your next event. Also, click here to check out our some video clips of past events! 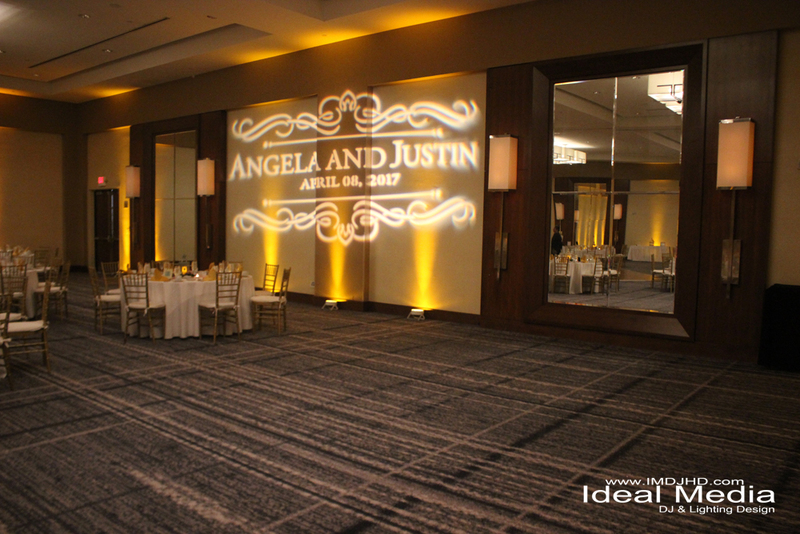 Hope you enjoyed your info on DJs in DC with Ideal Media DJHD!